Prove to your friends in Tulsa, Tulsa County, and Wagoner County that you're the smart one in the group by purchasing a used Chevrolet Malibu instead of a new one. It's a fabulous way to bypass depreciation, avoid hefty destination fees and get a gorgeous sedan that fits into your budget. Head on over to Jim Norton Chevrolet in Broken Arrow, OK, where we're offering deep discounts on these beautiful machines. You'll be the toast of the town when you pull up to your home in a stunning used Malibu this evening! A late-model used Chevrolet Malibu is equipped with a plethora of standard features, which include a regular or turbocharged 4-cylinder engine, automatic transmission, anti-lock brakes, , power windows, power door locks, air conditioning, remote keyless entry, daytime running lights, an AM/FM/CD/MP3 audio system, delay-off headlights, and steering wheel mounted controls. Many used Chevy Malibu sedans can also be found with a Bluetooth connection and leather seats. If the prospect of buying a used vehicle is a little off-putting, consider a used Malibu from our Certified Pre-owned (CPO) program. Before they're resold as certified by Jim Norton Chevrolet, they must be from 2009 or older and have fewer than 75,000 odometer miles. Then, Chevy factory-trained Master technicians perform a 172-point inspection, with only genuine OEM components used for replacement. Plus, a CARFAX vehicle history report must ensure that the CPOP Malibu has no damage or title issues. Unlike many pre-owned vehicles, an exceptional warranty accompanies your CPO Malibu. A 12-month/12,000-mile basic warranty, 5-year/100,000-mile limited powertrain warranty, 2-year/24,000-mile free maintenance plan, and incredible a 3-day/150-mile satisfaction guarantee is proof positive that Chevrolet has a boatload of confidence in a Certified Pre-Owned Malibu. Plus, you'll get a 3-month trial Onstar Directions and Connections and SiriusXM if your CPO Malibu is equipped with those features. Take advantage of knowing your financing options for your used Chevy Malibu before you step into the Jim Norton Chevrolet showroom by filling out our brief, secure online credit app. You'll know the excellent rates and terms we can obtain for you, and if your credit isn't stellar, that won't prevent our Finance team from structuring a loan for you through our multiple lenders. 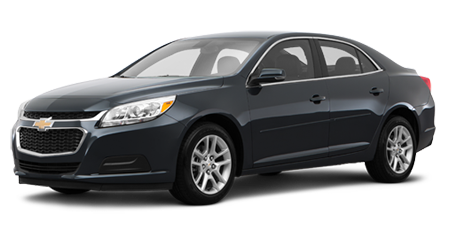 Driving a stylish used Chevrolet Malibu around Tulsa, Tulsa County, and Wagoner County will certainly draw attention to yourself. But first, let Jim Norton Chevrolet gain your attention by giving you an unbelievable deal on this magnificent sedan!